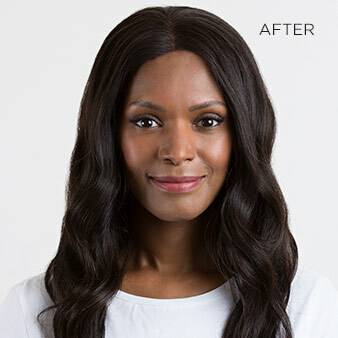 A lightweight liquid foundation that creates a smooth matte complexion for up to 12 hours. With just a few drops it conceals skin imperfections and even vitiligo, discoloration, varicose veins, bruising, scars, burns and tattoos. Available in three shades, Sand, Bronze and Caramel. 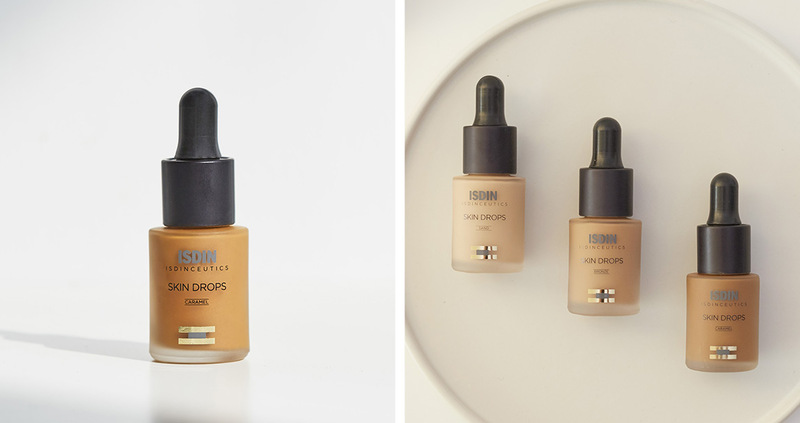 Skin Drops has 12h duration without feeling heavy and adjustable coverage that adapts to your skin´s needs. It provides a matte, velvety finish with just a few drops. Can be applied with fingers, brush or beauty blender and can be combined with AGE Contour or Eryfotona Actinica for a custom-made BB cream. Shake before using. Put one or more drops in the palm of your hand, depending on the coverage you wish to achieve. Apply the product uniformly with fingertips or foundation brush starting from the center and moving outwards. If necessary, repeat all over your face or only in specific areas. Skin Drops can also be used to conceal imperfections in other parts of the body. Expert tip: apply also on your jawline and neck to create the perfect finish. The formula contains Jojoba, Sunflower and Mimosa natural wax that help your skin remain comfortably soft. 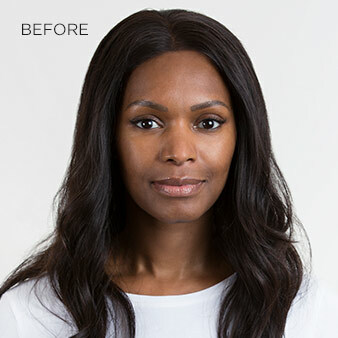 Promotes overall evenness in skin tone and a radiant complexion. ALL SHADES Ingredients: Ethyl Trisiloxane, Caprylyl Methicone, Bis-Hydroxyethoxypropyl Dimethicone, Isododecane, Dimethicone, Mica, Jojoba Esters, Triethylhexanoin, Disteardimonium Hectorite, Silica, Hydrogenated Lecithin, Dimethicone/Vinyl Dimethicone Crosspolymer, Helianthus Annuus (Sunflower) Seed Cera (Wax), 1,2-Hexanediol, Caprylyl Glycol, PEG-10 Dimethicone, Aqua (Water), Alcohol, Acacia Decurrens Flower Cera (Wax), Polyglycerin-3, Tocopherol, [+/- May contain: CI 77891 (Titanium Dioxide), CI 77492 (Iron Oxides), CI 77491 (Iron Oxides), CI 77499 (Iron Oxides)]. CARAMEL Ingredients: Iron Oxides, Ethyl Trisiloxane, Titanium Dioxide, Caprylyl Methicone, Bis-Hydroxyethoxypropyl Dimethicone, Isododecane, Dimethicone, Mica, Jojoba Esters, Triethylhexanoin, Disteardimonium Hectorite, Silica, Hydrogenated Lecithin, Dimethicone/Vinyl Dimethicone Crosspolymer, Helianthus Annuus (Sunflower) Seed Wax, 1,2-Hexanediol, Caprylyl Glycol, PEG-10 Dimethicone, Water, Alcohol, Acacia Decurrens Flower Wax, Polyglycerin-3, Tocopherol.